Tasteless rates your Spotify library and tells you if you need to reevaluate your choices in music and/or life. 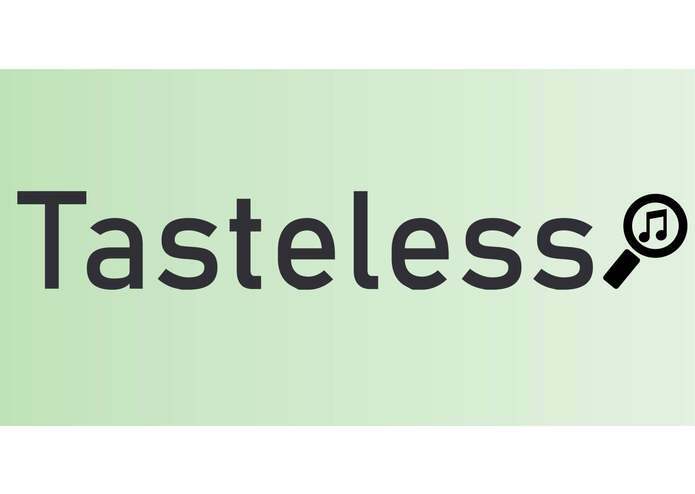 Built with Flask, Spotify and Indico API, Tasteless uses "state-of-the-art" Sentiment-Analyzing AI From The Future™ to search the web for music reviews of all your favorite songs, in order to calculate your Music Appreciation Score. If your idea of a fun time is having more things to be insecure about, maybe Tasteless is the app for you. NOTE: The current iteration of Tasteless is far from complete, as working on this project has shown that there are many more steps in building our idea of the app. We all have ideas and the skills gained from the hackathon to continue working on it long after the deadline, which we will definitely follow through on. Worked on the backend, using the Indico API for the first time to calculate the sentiment of different song reviews. Learned a lot about building an actual app. Worked on front end, as well as with the Spotify API to access playlist and track information from users. Made the logo. It was my first time working with flask and with the spotipy library, and I gained a lot of new skills.